The aim of our lab is to perform cutting edge translational research in the field of hepatology supporting the “bench-to-bedside” approach. 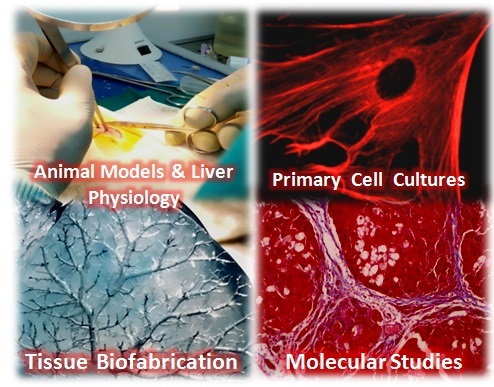 We focus on development and characterization of “Pre-clinical” animal models of liver diseases, assessment of hepatic hemodynamics, drug Screening, Hepatic Regeneration and Tissue engineering. In addition, we have state-of the art facilities to isolate and culture human and animal primary hepatic cells.